KAS Rugs Emerald 9058 Grapes Border Area Rug. Glowing, ivory, beige, red, and purple color scheme. Strong, 100% natural wool construction; hand-tufted for exquisite beauty. Lovely vineyard theme. Made in China. Your choice of rug size and shapeNote: Due to individual Computer monitor settings, actual colors may vary slightly from those you see on your screen.. An Art Nouveau beauty, the KAS Rugs Emerald 9058 Grapes Border Area Rug - Ivory is ringed in vines and grape clusters against an ivory background. 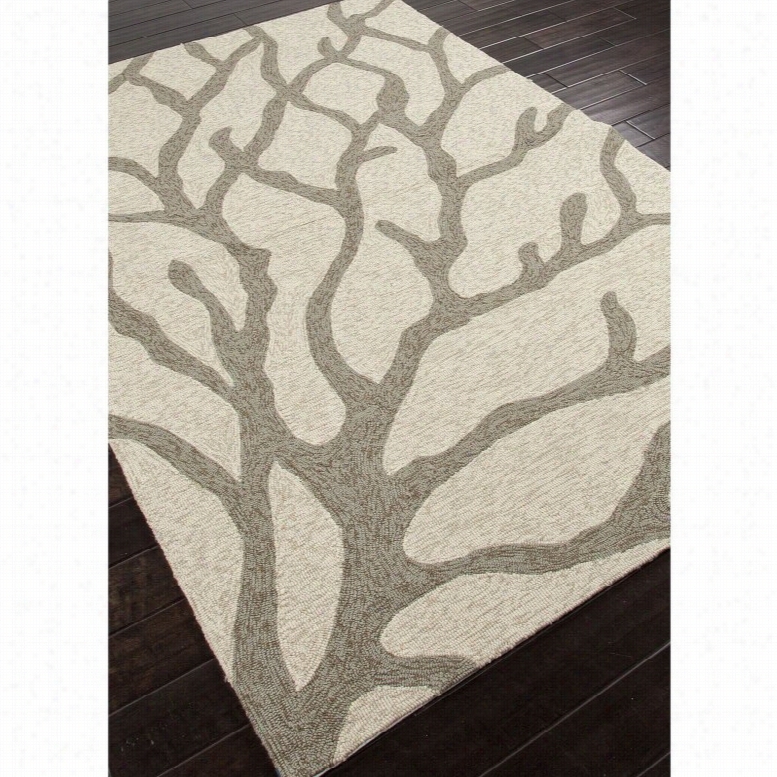 This rug is crafted of 100% wool and hand-tufted for beauty. It comes in your choice of shape and size, so finding the right fit is easy. Stunning in your wine bar or dining room! About KAS RugsKAS Oriental Rugs, Inc. is one of the rug industry's leading suppliers of imported handmade and machine-made rugs. KAS was founded in 1981 by Rao Yarlagadda and his wife Kas. KAS started as a small importer selling Indian Dhurries and quickly became known as a forerunner in color and design trends. As a family business, KAS has retained a small company atmosphere while building an infrastructure to support its growing sales. Over the last 23 years, the company has valued every relationship and has given personal attention to each and every customer. This, coupled with extensive product growth, has supported KAS' leading position in this market, now servicing customers in every category of floor coverings and all channels of distribution throughout the United States. Size: 7.5 ft. Round. Savoy Area Rug - 6'Round, Gold. 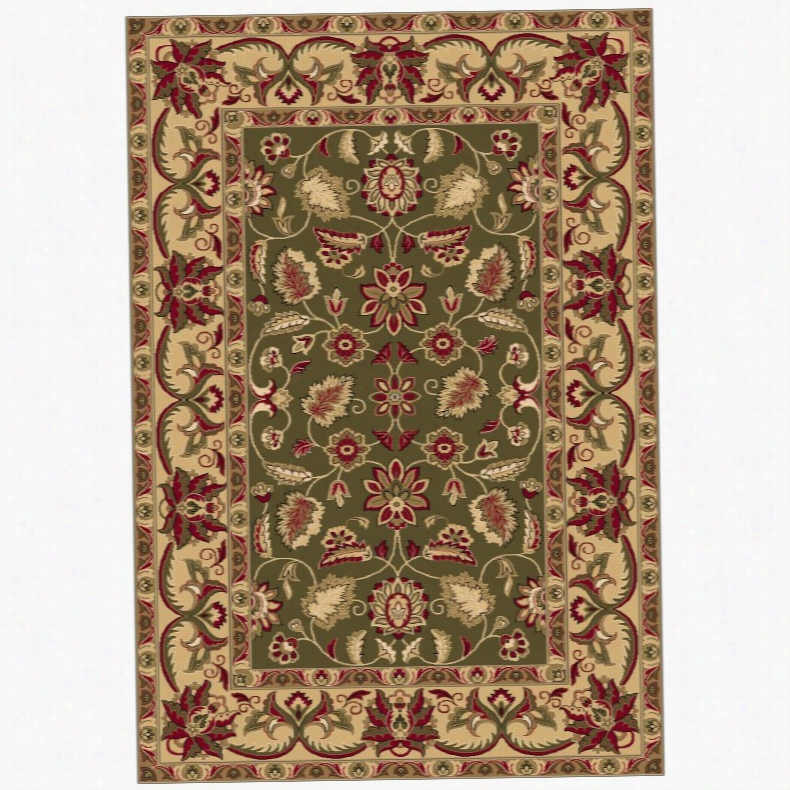 Savoy Area Rug - A Traditional Rug Adds Warmth To Your Home Wool Rugs Are A Great Value. - Our Classic Collection Features Traditional Rugs That Are Hand Tufted Of Fine 100% Wool. They Are Herbal Washed For A Rich And Lustrous Sheen.Patches Of Patterns Resemble A Quilt Of Diamond Shape. The Border Features House-Like Shapes With Angled Roofs That Point Toward The Edge.These Wool Rugs Are Not Just Beautiful, They Are Also Affordable. Order This Traditional Rug Today. 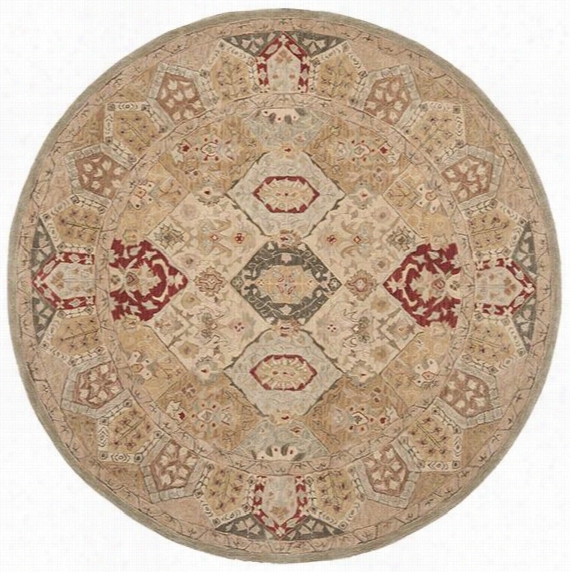 Clara Rug - 7'9" Round, Ivory. Clara Rug - Express Your Personal Style With Contemporary Area Rugs Contemporary Area Rugs Offer Style And Choice. 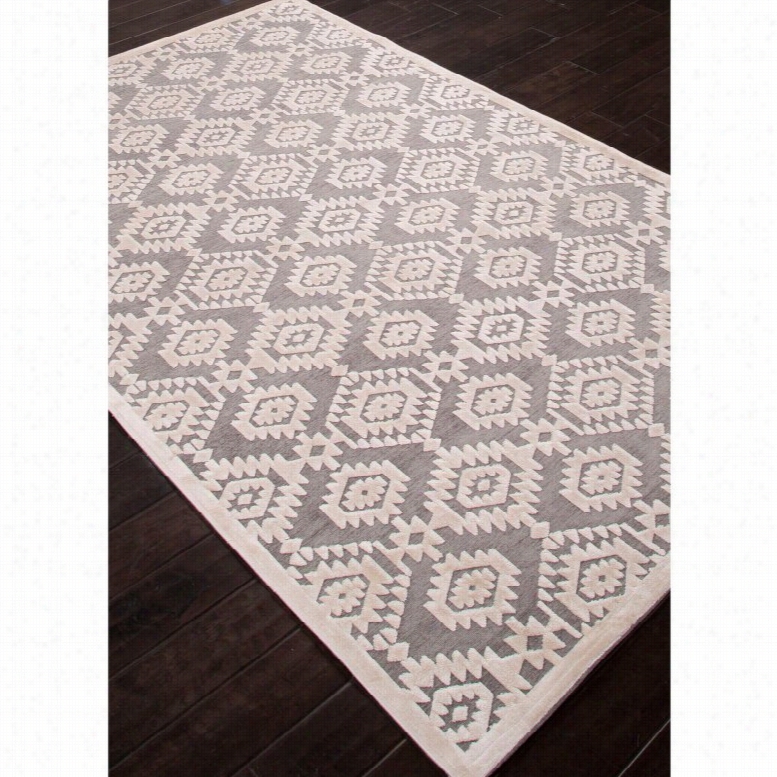 - The Clara Rug Is A Member Of Our Metropolitan Collection. Featuring High-Quality 100% Wool With A Luxurious 1/2'-Thick Pile, This Modern Rug's Dense Woven Design Has Been Created Using A Special Hand Tufting Process To Achieve The Look Of Hand Knotting, But At An Affordable Price. Choose From One Of Many Different Color Schemes To Find The Perfect Match For Your Living Room, Sunroom, Study Or Bedroom. The Unique Square Design On This Floor Covering Will Add Casual, Contemporary Style To Any Room. 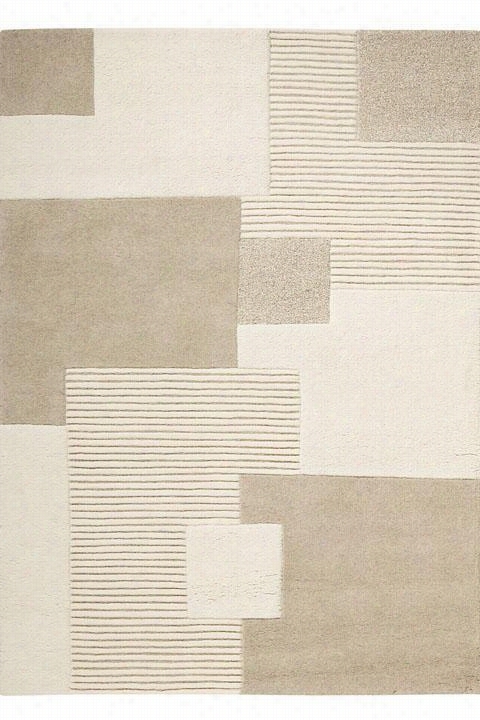 This Modern Rug Comes In A Variety Of Shapes And Sizes, So You Are Sure To Find The Right Floor Covering For Any Room. KAS Rugs Ruby 8888 Splendor Area Rug. Bright blue, green, and red color scheme. 100% natural wool construction; hand-tufted for enduring beauty. Flourishing floral design. Made in China. Your choice of rug sizeNote: Due to individual computer monitor settings, actual colors may vary slightly from those you see on your screen.. The KAS Rugs Ruby 8888 Splendor Area Rug - Coral / Blue makes a statement in your home decor with its flourishing brilliant design. The 100% natural wool construction of this gorgeous area rug is hand-tufted for enduring beauty and lasting durability. Pick and choose the perfect fit for your home with the available variety of size options.About KAS RugsKAS Oriental Rugs, Inc. is one of the rug industry's leading suppliers of imported handmade and machine-made rugs. KAS was founded in 1981 by Rao Yarlagadda and his wife Kas. KAS started as a small importer selling Indian Dhurries and quickly became known as a forerunner in color and design trends. As a family business, KAS has retained a small company atmosphere while building an infrastructure to support its growing sales. Over the last 23 years, the company has valued every relationship and has given personal attention to each and every customer. This, coupled with extensive product growth, has supported KAS' leading position in this market, now servicing customers in every category of floor coverings and all channels of distribution throughout the United States. Size: 8 x 10.5 ft..
Jaipur Rugs Coastal Lagoon Coral Indoor/Outdoor Area Rug Teal, Size: 5 x 7.5. Coral design in choice of available Pantone colors. 100% polypropylene. Looped construction. .375-in. pile height. Choose from available sizes. Offering a touch of topographic style, the Jaipur Rugs Coastal Lagoon Coral Indoor/Outdoor Area Rug offers a contemporary flavor for any room in your home. This eye-catching rug is flat-woven in India using 100% polypropylene fibers that are resistant to stain and dirt. A full range of Pantone colors are available, making this simple and appealing design suitable for any room in your home.About Jaipur RugsOne of the leading providers of hand-woven rugs from India, Jaipur Rugs opened their United States-based plant in Atlanta in 1998. Founded on the ideals of visionary N.K. Chaudhary, a rug maker with over 30 years' experience, Jaipur features a team of over 30 designers and 40,000 skilled rug makers, all of whom carry out the company's original dream of making high-quality, outstanding rugs based on ancient traditions. Jaipur makes flat-woven, hand-tufted, and hand-knotted rugs that incorporate cutting-edge technologies and designs, and real handspun fibers to bring you the ultimate in true Indian craftsmanship. Size: 5 x 7.5. Color: Blue. KAS Rugs Metropolitan 355 Waves Area Rug Blue, Size: 7.5 x 9.5 ft..
100% polyester construction; hand-tufted for lasting beauty. Flowing wave design. Made in China. Your choice of rug size and colorNote: Due to individual Computer monitor settings, actual colors may vary slightly from those you see on your screen.. Embellish your living, family, or bedroom floor with the ever so soft KAS Rugs Metropolitan 355 Waves Area Rug. 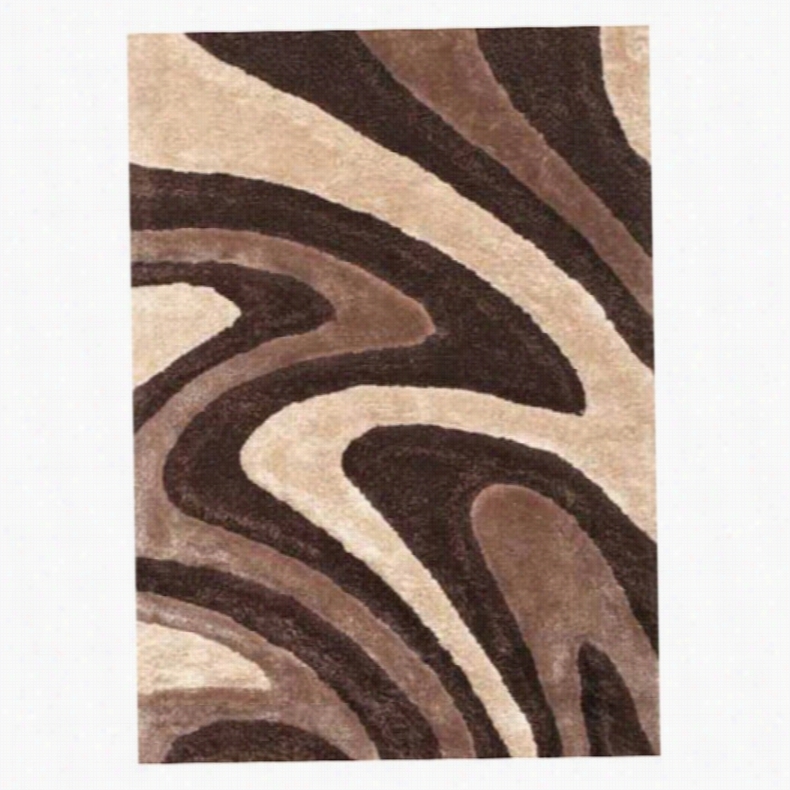 Constructed of 100% polyester, this lovely rectangular area rug features a flowing wave design in your choice of colors. Hand-tufted for lasting beauty, this cozy piece is perfect for contemporary styled homes. Availale in a variety of sizes.About KAS RugsKAS Oriental Rugs, Inc. is one of the rug industry's leading suppliers of imported handmade and machine-made rugs. KAS was founded in 1981 by Rao Yarlagadda and his wife Kas. KAS started as a small importer selling Indian Dhurries and quickly became known as a forerunner in color and design trends. As a family business, KAS has retained a small company atmosphere while building an infrastructure to support its growing sales. Over the last 23 years, the company has valued every relationship and has given personal attention to each and every customer. This, coupled with extensive product growth, has supported KAS' leading position in this market, now servicing customers in every category of floor coverings and all channels of distribution throughout the United States. Size: 7.5 x 9.5 ft.. Color: Blue. KAS Rugs Ruby 89 Trellis Area Rug Wedgewood / Ivory, Size: 8 x 10.5 ft..
100% natural wool construction; hand-tufted for lasting Beauty. Classic floral design. Made in China. Your choice of rug size and colorNote: Due to individual computer monitor settings, actual colors may vary slightly from those you see on your screen.. Invite lasting beauty into your home with the KAS Rugs Ruby 89 Trellis Area Rug. 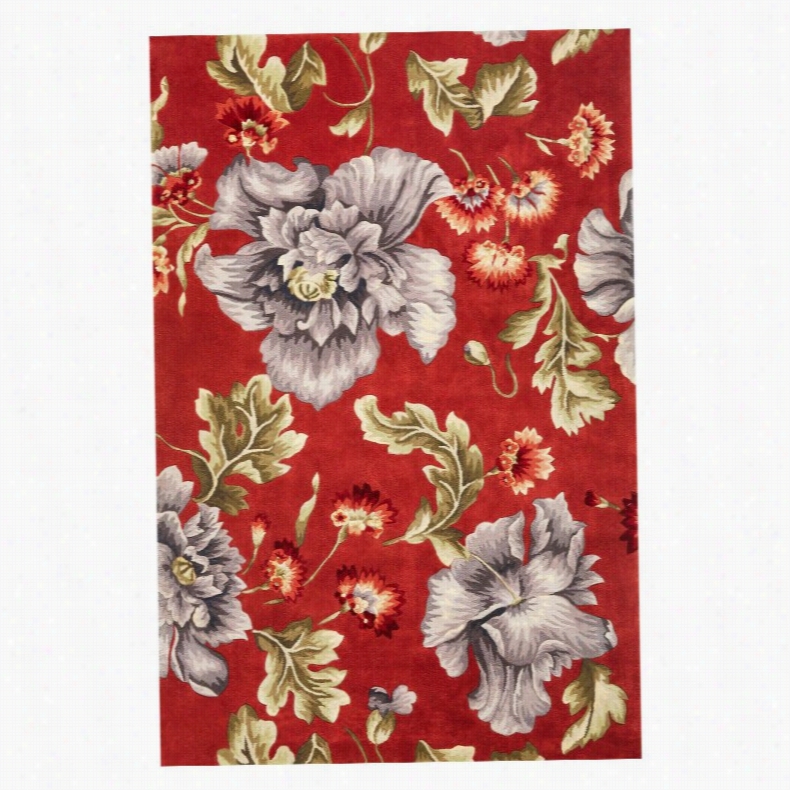 A charming floral pattern graces this rug in soft colors of your choice. The 100% natural wool construction is hand-tufted for lasting durability and comes in your choice of available size options.About KAS RugsKAS Oriental Rugs, Inc. is one of the rug industry's leading suppliers of imported handmade and machine-made rugs. KAS was founded in 1981 by Rao Yarlagadda and his wife Kas. KAS started as a small importer selling Indian Dhurries and quickly became known as a forerunner in color and design trends. As a family business, KAS has retained a small company atmosphere while building an infrastructure to support its growing sales. Over the last 23 years, the company has valued every relationship and has given personal attention to each and every customer. This, coupled with extensive product growth, has supported KAS' leading position in this market, now servicing customers in every category of floor coverings and all channels of distribution throughout the United States. Size: 8 x 10.5 ft.. Color: Wedgewood , Ivory. Dynamic Rugs Eclipse Multi 68081 Area Rug, Size: 7.10 x 10.10 ft..
Red, blue, and tan. 100% heat-set polypropylene. Machine-made using double pointing. Professionally dry-clean only. 1-year limited warranty. Made in India for Dynamic RugsNote: Due to individual computer monitor settings, actual colors may vary slightly from those you see on your screen.. The Dynamic Rugs Eclipse Multi 68081 Rug features stripes of various thicknesses. 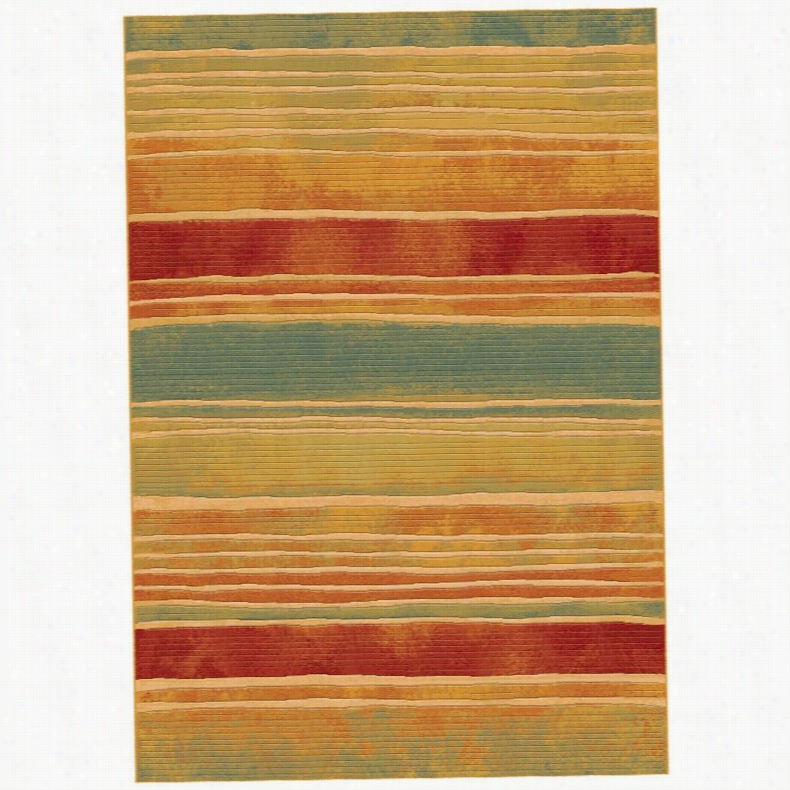 With red blue and tan stripes it can be use in a bedroom or family room. This machine-made rug is made of 100% heat-set polypropylene with a double-pointing technique. To preserve the Beauty and color professionally dry-clean the rug as needed. 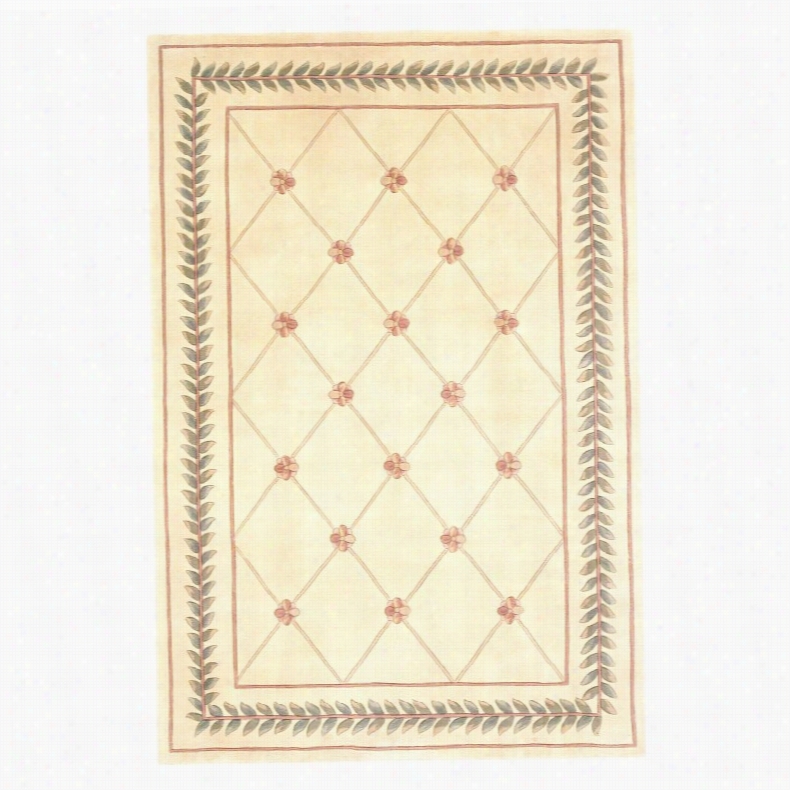 Available in a variety of shapes and sizes this rug is made in India for Dynamic Rugs. One-year limited warranty.Sizes offered in this rug:Following are all sizes for this rug. Please note that some may be currently unavailable due to inventory. Also please note that rug sizes may vary by up to 4 inches in dimensions listed.Dimensions:3.11 x 5.7 ft.5.3 x 7.7 ft.6.7 x 9.6 ft.7.1 x 10.1 ft.About Dynamic RugsIn 1997 Dynamic Rugs formerly a container broker company evolved into a full-service rug importing company with the focus of servicing the independent home furnishings retailers in the United States. Since then the scope of the company has changed with its warehouse now supplying rugs from India China Turkey Romania and Belgium to dealers in the USA Canada Mexico and Latin America. Through the growth and success of the company the focus remains the same and is based on the three principals of service value and fashion to our customers. Size: 7.10 x 10.10 ft.. Dynamic Rugs Shiraz 51006 Envoy Persian Rug. Green, a floral design in green, beige, and red. Densely and durably woven on a Wilton loom. Colorfast, easy-to-clean heat-set polypropylene construction. Imported from Turkey by Dynamic Rugs. Traditional and transitional style for a versatile lookNote: Due to individual computer monitor settings, actual colors may vary slightly from those you see on your screen.. Rich botanical detailing and a vibrant green hue make the Dynamic Rugs Shiraz 51006 Envoy Persian Rug - Green stand out. 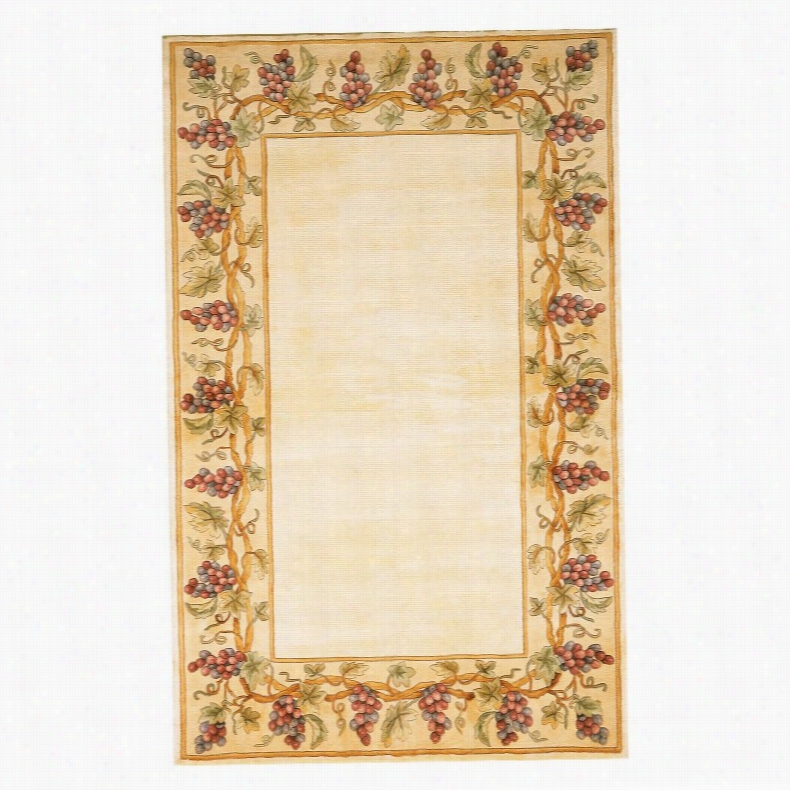 This ornate rug with a wide border will enhance your transitional decor. Part of the Shiraz collection this rug features dense weaving to enhance pattern definition and provide excellent design clarity. It has been machine-woven on a Wilton loom to produce a thick pile that is both long-wearing and beautiful. High-quality polypropylene construction results in an anti-static colorfast and mildew/stain-resistant surface; a heat-set process is used to create an extra-soft wool-like texture. Imported from Turkey and available in your choice of sizes this rug should be dry-cleaned. It is backed by a one-year manufacturer's warranty.Sizes offered in this rug:Following are all sizes for this rug. Please note that some may be currently unavailable due to inventory. Also please note that rug sizes may vary by up to 4 inches in dimensions listed.Dimensions:2 x 3.5 ft. Rectangle3.11 x 5.7 ft. Rectangle5.3 x 7.7 ft. Rectangle7.1 x 10.1 ft. Rectangle9.2 x 12.1 ft. Rectangle5.3 ft. Round7.1 ft. Round2.2 x 7.1 ft. Runner2.2 x 11.4 ft. RunnerAbout Dynamic RugsDynamic Rugs has been a full-service rug importing company since 1997 servicing independent home furnishing retailers all over the United States. Since its inception the company has grown and now provides rugs from places such as India China Turkey Romania and Belgium to dealers all over the world. Dynamic Rugs imports only the finest designer rugs. Enjoy high quality great customer service and beautiful rugs of all shapes and styles from Dynamic. Size: 7.10 x 10.10 ft..
Jaipur Rugs Fables Magical Area Rug, Size: 7.6 x 9.6 ft.. Magical design in Pantone colors Monument and Light Gray. 100% rayon chenille. Machine-tufted construction. .25-in. pile height. Choose from available sizes. The Aztec pattern on this Jaipur Rugs Fables Magical Area Rug comes in a smart gray and ivory color palette that matches any wall color. Rayon chenille construction ensures this area rug is luxurious underfoot. Available in popular size options. Made in Turkey.About Jaipur RugsOne of the leading providers of hand-woven rugs from India, Jaipur Rugs opened their United States-based plant in Atlanta in 1998. Founded on the ideals of visionary N.K. Chaudhary, a rug maker with over 30 years' experience, Jaipur features a team of over 30 designers and 40,000 skilled rug makers, all of whom carry out the company's original dream of making high-quality, outstanding rugs based on ancient traditions. Jaipur makes flat-woven, hand-tufted, and hand-knotted rugs that incorporate cutting-edge technologies and designs, and real handspun fibers to bring you the ultimate in true Indian craftsmanship. Size: 7.6 x 9.6 ft..